We feel strongly, that important and serious subject matters need to be presented in a way that is charming, endearing, approachable, and shareable. 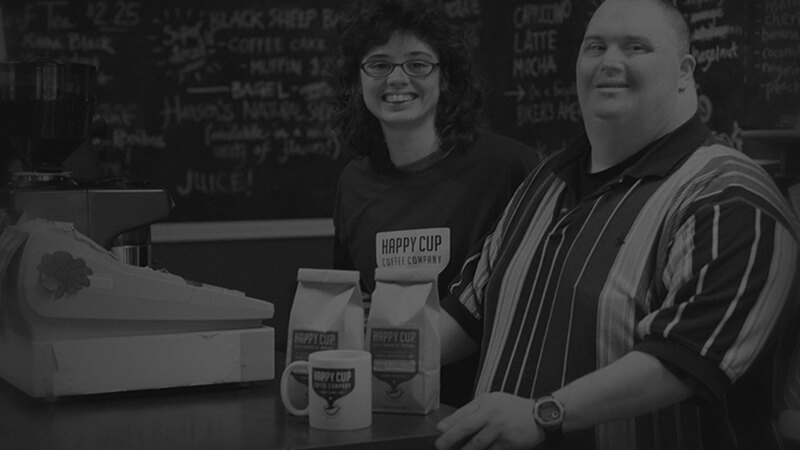 When Ideaville crafted the idea of having folks with developmental disabilities pack and sell coffee we had no idea it would get this big, this fast. It has been a number one selling coffee product at several Portland area Whole Foods Markets, and that is something to be happy about. Our client, the parent company Full Life does a lot of positive things for the developmentally disabled community in Portland including job placement services. One of our contributions was to coin the phrase PEOPLE WITH POTENTIAL™ as a more positive way to describe this under-employed and often misunderstood part of our work force. 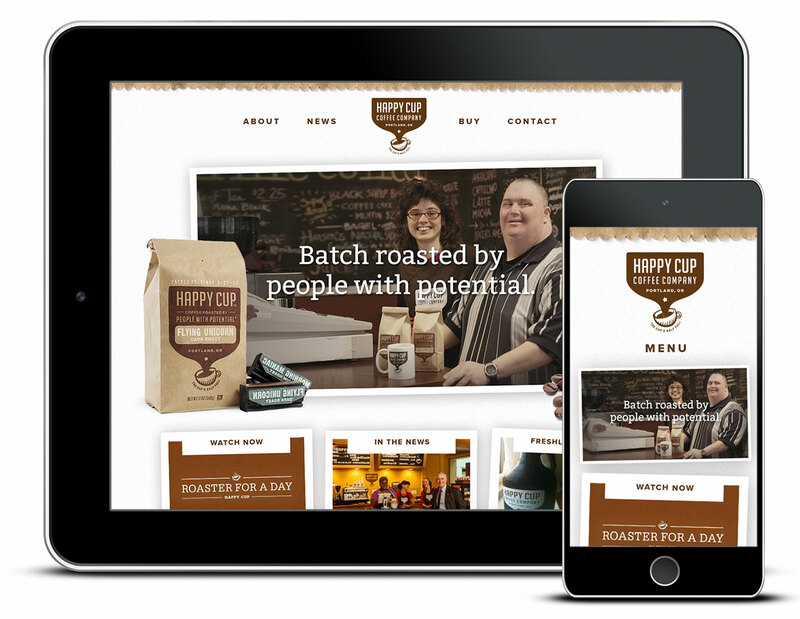 We recommended that Full Life start a coffee brand as living proof, creating both jobs and awareness. Our responsibilities include naming the brand, identity, packaging, videos website, writing...everything. 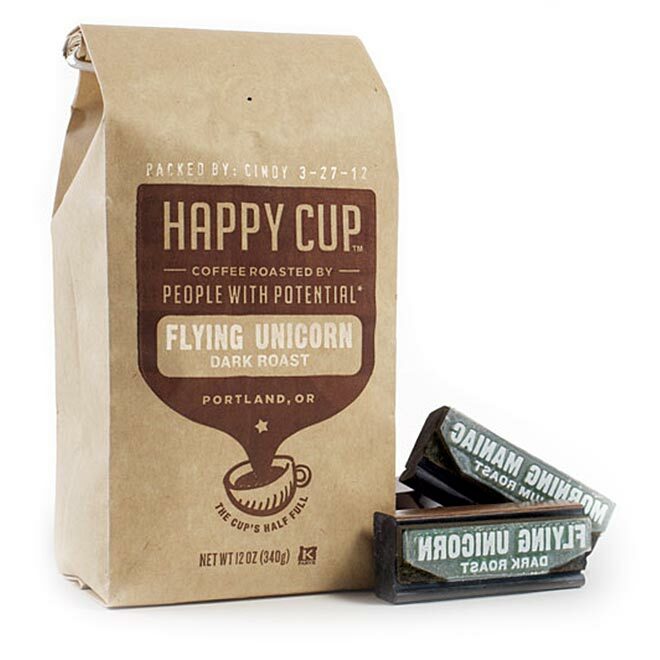 To top it all off we worked with their team members to name the coffees, so look for Flying Unicorn, Hot Bean, and Morning Madness at your local New Seasons Market, Whole Foods or Zupan’s. Happy Cup has received a lot of coverage in the media, ( watch below ) made a lot of friends, and sold a lot of coffee.